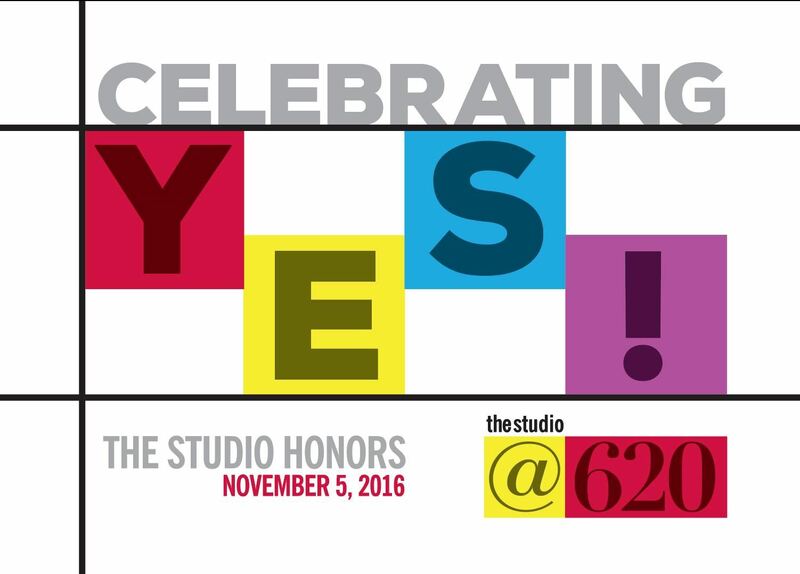 The Studio@620 celebrates the power of "YES!" at the center of the 2016 Studio Honors. This annual celebration recognizes the contributions of individuals who enhance and strengthen our community. It is also The Studio's singular fundraising event each year and helps to ensure that we are able to continue our mission of being a "YES!" for the arts and social justice. This year's Honors will bring the community together for an intimate and family-like experience, one that is warm and inviting, like you would expect from your favorite local meeting place! Attendees will enjoy a meal of mixed dishes from a variety of local restaurants contributing their favorite dishes, creating a pot-luck-chic offering. The evening will include splendid entertainment and a specially curated art show by local creative phenom Chad Mize. More than 20 local artists will be contributing their talents, creating works that celebrate "YES!". Two emerging artists from PCCA will receive the Ola Mae Jones award for dance. Say YES and support The Studio@620! Tickets to attend the Honors are $125. To discuss how you can sponsor The Studio Honors contact Larry Biddle at 813-417-1225.